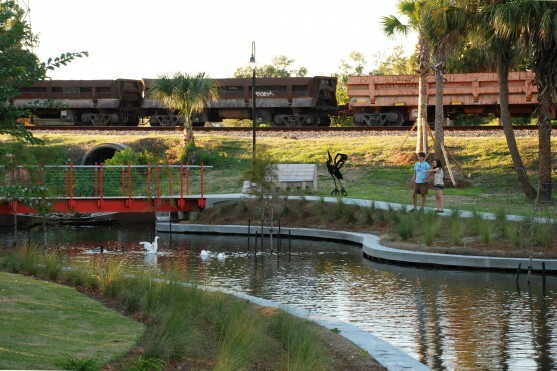 The city of Bay St. Louis has a vibrant small town character. Much of this is due to the natural beauty within its borders – the high bluff overlooking the beach and seafront, native trees and plantings that create shade, and views to special features. There is a resilient spirit here, and the people of this city make it special through the unique use of color, details and distinctive designs. 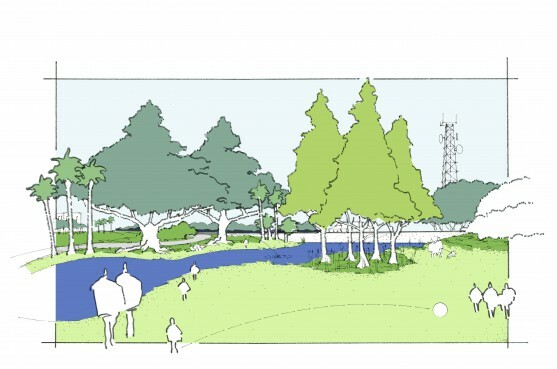 Re-creating pleasant corridors in the city connects neighborhoods with commercial areas and makes safe places for people to walk and bicycle; a network of compatible thoroughfares that provide sidewalks, lighting for evening activities, and a continuous canopy of trees. 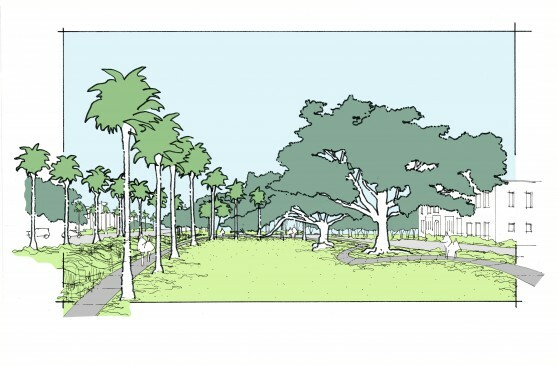 The landscape provides an identity for Bay St. Louis that reinforces the special qualities of this place. 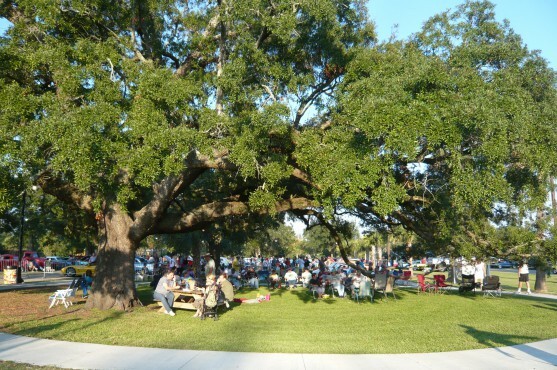 A new pond and festival grounds animates this part of the city, and draws visitors and residents to the grand old oaks and historic buildings. 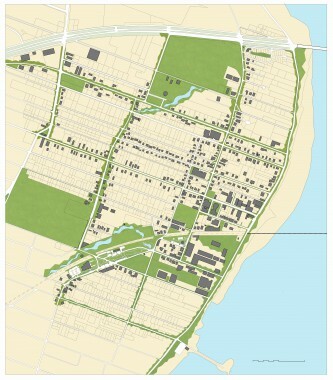 The project includes the design of complete thoroughfare assemblies incorporating the type of street, width and number of lanes, design speed, building types, curb and drainage, sidewalks, landscape, and lighting. New paths were designed for universal accessibility.